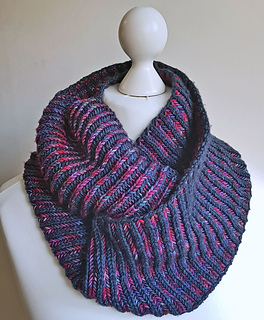 This simple brioche rib cowl is knitted in the round using two complementary / contrasting (you choose!) colours of yarn. 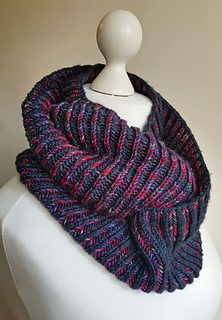 The pattern is designed using sport-weight yarn, but a DK yarn would work too. 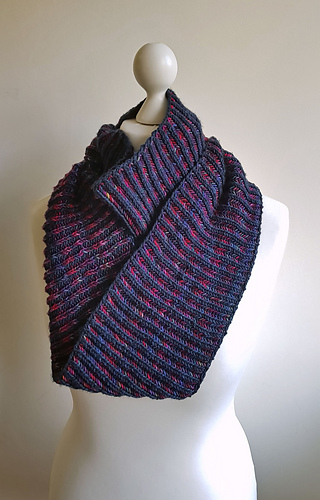 I’d recommend using the same brand of yarn for both colours, just because there can be a slight variability between textures and thicknesses between different yarns. I think using the same brand gives a more consistent texture. You will need roughly 175-180m (190-197 yards) of each colour of yarn. This pattern was written to accompany a full photo-tutorial, which is available on my blog www.jo-creates.com to show you how simple brioche knitting really is!